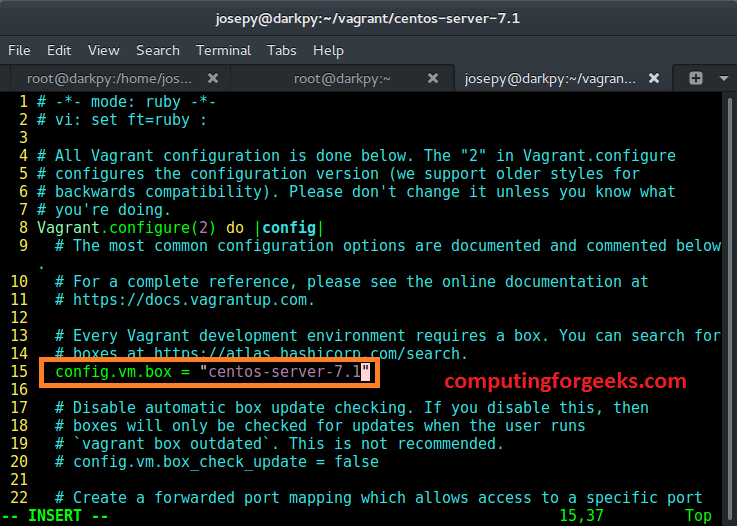 Installing Vagrant box from scratch may not be an efficient way if you already have a running Virtualbox Vm from same Base os as the vagrant box. 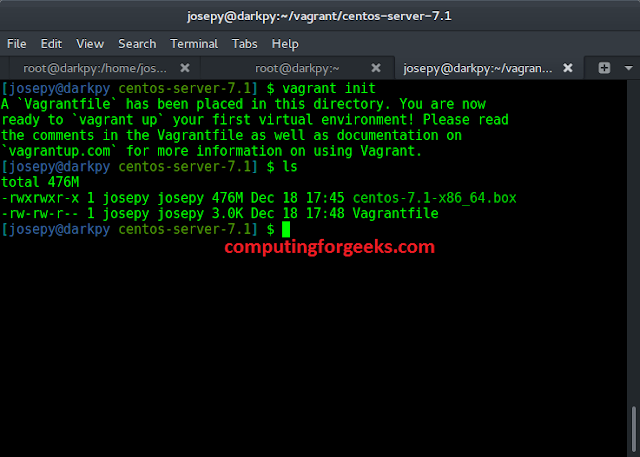 Additionally, you’ll save bandwidth if you have updated pre-existing Vm and maybe installed additional packages that you’ll like to have on new Vagrant controlled Virtual Machine. 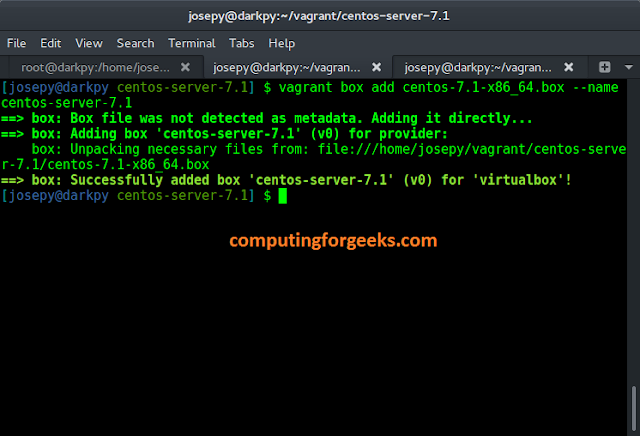 In our example, we’ll use an existing Virtualbox CentOS 7.1 server. This Virtual Machine is updated and have Asterisk Pbx installed. To use this trick we’ll also need the following software installed. or use wget to download it. Paste the code below and save the file. 1. 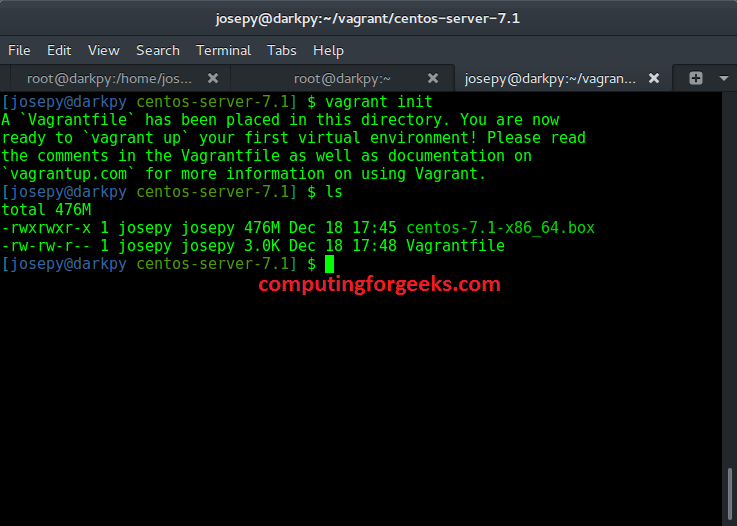 Change to directory containing CentOS vagrant box you downloaded. If successful in spinning up, you should be logged in by default. If you get error message “default: Warning: Connection timeout. 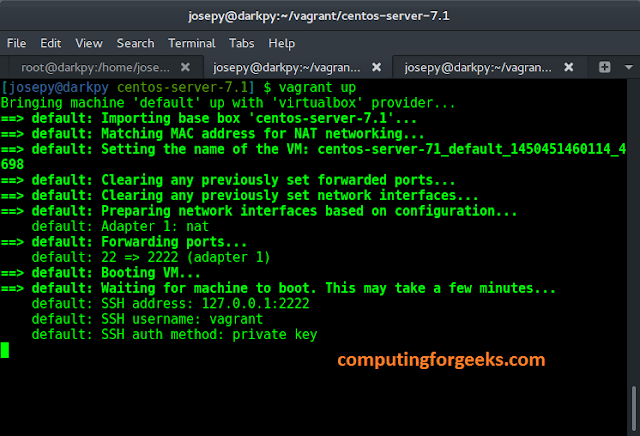 Retrying...”, try press CTL+C and use vagrant ssh to login. 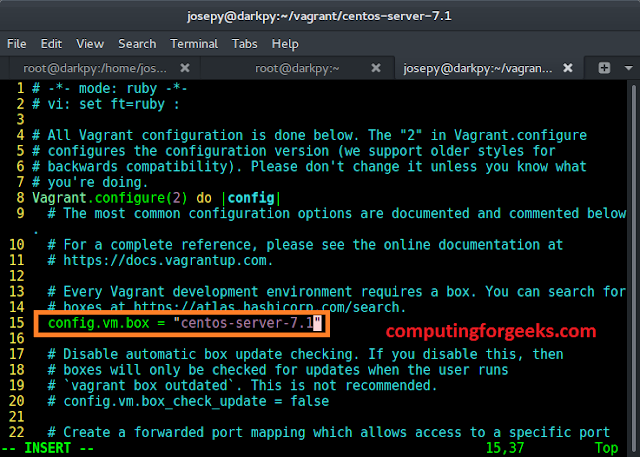 Change directory to VirtualBox VMs directory and find the name of Virtualbox VM that we want to make newly added box use. Mine is under centos-asterisk folder. With the name of vmdk as centos-asterisk-disk1.vmdk.We need to copy this file to the directory containing vagrant vm we added “centos-server-7.1”. 6. Now rename your added VM on Virtualbox Gui. Before you can rename you have to turn it off. To rename go to Virtual Machine > General > Basic > Name.See screenshots below. 7. 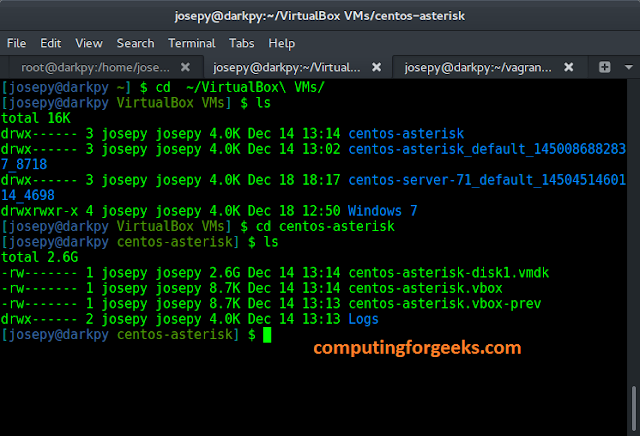 Next thing to do is copy centos-asterisk-disk1.vmdk to box-disk1.vmdk. Make sure the Virtual Machine is off, if not turn it off. 9. Install Virtualbox Guest Addtions on the guest OS.